Monitors progress throughout the duration of the project. The leader of this work package is Katrin Voltmer, University of Leeds (UK). Ensures comparability and methodological compatibility across WPs. Compares conflict coverage of democratisation conflicts across four countries. The leader of this work package is Nebojša Vladisavljević, University of Belgrade (Serbia). Investigates regulatory and informal constraints on journalists in conflict situations. The leader of this work package is Irene Neverla, University of Hamburg (Germany). Compares the impact of mediated activism on the dynamic of democratisation conflicts in four emerging democracies. The leader of this work package is Herman Wasserman, University of Cape Town (South Africa). Compares government communication strategies and their effectiveness in managing conflicts in four emerging democracies. The leader of this work package is Nicole Stremlau, University of Oxford (UK). Develops recommendations for the use of ICTs in conflict prevention, management and resolution. The leader of this work package is Christian Christensen, Stockholm University (Sweden). 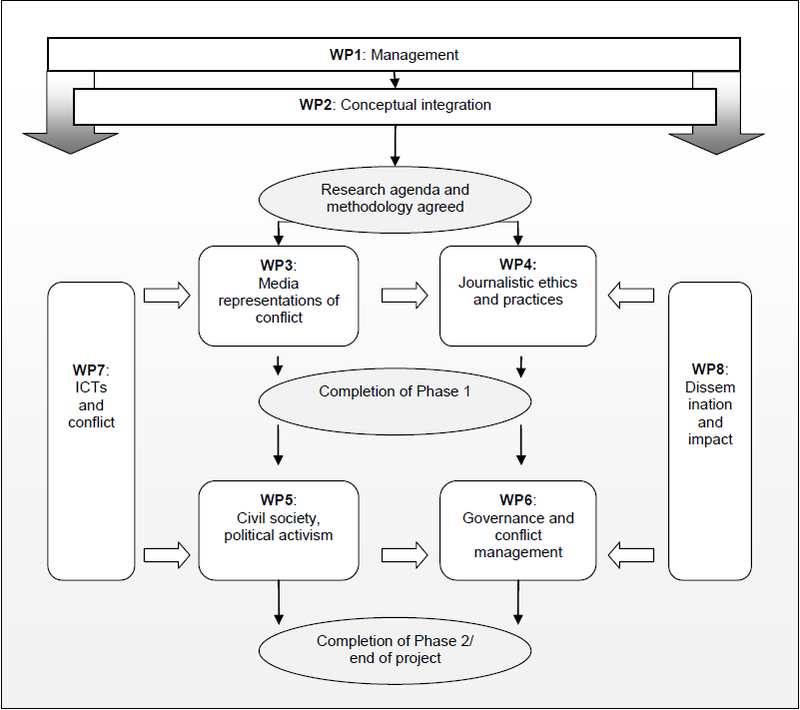 Investigates and evaluates the effectiveness of media assistance programmes in conflict societies. The leader of this work package is Barbara Thomass, Ruhr University Bochum (Germany).